Some destinations are just meant to be the ones that define Holidays to a completely different level. Most of the holidays that I plan are for the uniqueness of the destination and what the place has to offer me in perspective to the experience that I usually get. Many a times a vacation is usually to take your time off, unwind and relax to cool your heels off. And then there are others that are clubbed with getting the feel of the local sights and unpack little mysteries and treasures hidden in such a place. Recently, while I was browsing some such interesting discovered, I came across something on FirstChoice and found it certainly one of the most fascinating locations. The Cape of Castaway Islands, as I’d like to call it, it’s the Island country Cape Verde! Officially known as The Republic of Cabo Verde it spans across an archipelago of 10 volcanic islands in the central Atlantic Ocean. Interestingly and not surprisingly, in the 15th Century, Portuguese explorers discovered and colonized the uninhabited islands thus being, the first European settlement in the tropics. Ideally located for the Atlantic slave trade, the islands grew prosperous and often attracted privateers and pirates, among them Sir Francis Drake in the 1580s. Some very interesting places in this country are one of the most romanticized, yet unknown. Thanks to the 10 tiny islands in the Atlantic being below the radar. And since it’s just off the west coast of Africa, which means sunshine’s a given pretty much year-round. I’d recommend these few destinations to ease off, unwind and soak in the sunshine while you’re here. Aptly called Boa Vista, which means ‘Beautiful View,’ this destination is the most easterly island and it’s a strong contender for the best of the bunch. The reason? This 55-kilometre coastline that has everything from small, rocky bays to huge sandy stretches and you certainly could have been airlifted from the Caribbean. Out on the water, conditions are perfect for kite and windsurfing. 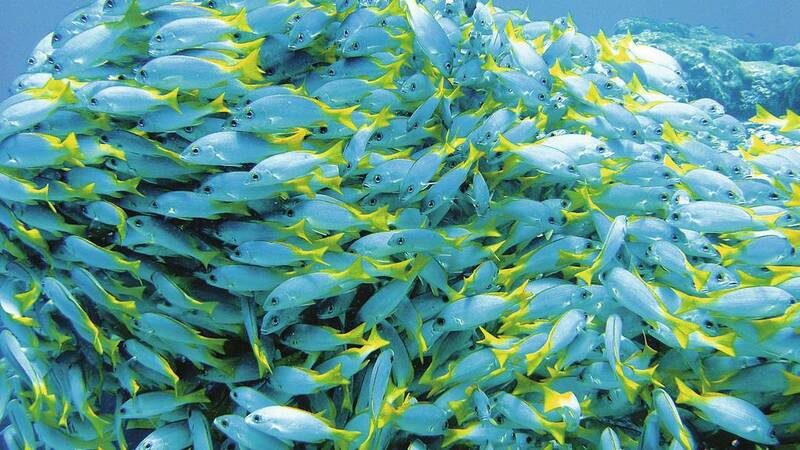 And below the glassy surface, there’s a rainbow of marine life to get to know. If you’re tired of Boa Vista, then there’s also the Santa Monica Beach that is popular with everyone. It’s in Curralinho, to the south of the island, which means the water here is really sheltered. And the name? The locals reckon Santa Monica’s 18-kilometre stretch looks a lot like the Californian version. 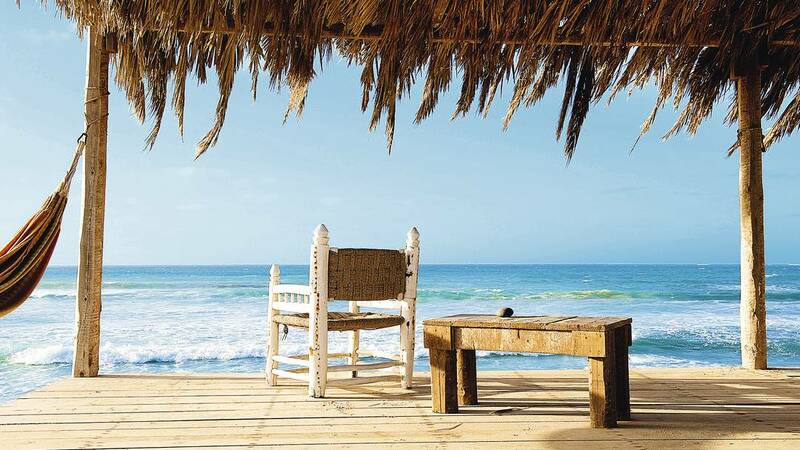 While you’re here, pay a visit to the island’s capital, Sal Rei. Pastel-painted houses, cobbled streets and rickety old shops are the staple ingredients here. Other than that you also have the option to Sail over to the deserted island of Sal Rei,Hop on a boat and go whale-watching, Sip the local wine in Sao Filipe on Fogo Island. This place is still early doors for this necklace of rocks in the Atlantic. To give you an idea, they’re 2 hours south of the Canaries, just off the west coast of Africa. Thanks to their history and location, you’ll find an exotic mix of African and Portuguese cultures on each island. And wherever you head, you’re guaranteed untouched beaches – there aren’t many people around here to share them with. 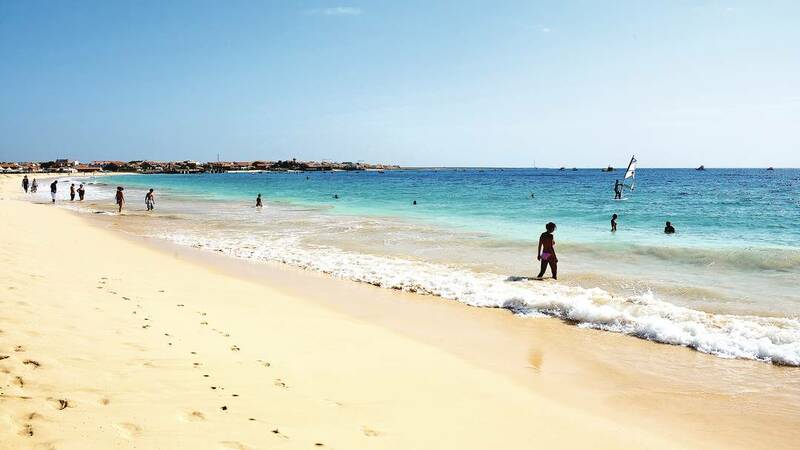 The island of Sal – Cape Verde’s most cosmopolitan – is dotted with little towns like Santa Maria, where the cobbled streets are dotted with surf shops, market stalls and rainbow-painted restaurants. There’s also a square packed with al fresco cafés. The white-sand beach is the big star, though. It stretches for 8 kilometres and ticks off beach bars and sand dunes along the way. There are plenty of things that you could do other than these when you’re here in Sal, especially if you want to enjoy something off beat – Learning to fish, Going on a trip to watch sea turtles in a catamaran, enjoying a great lobster dinner or better yet, go Big Game Fishing. If you’re a beach person and love water then Life below the surface is always exciting to see. Here you can do that with a glass-bottomed boat without needing to pull on a snorkel and flippers. Cape Verde has rich, fertile waters off its shores, so as you glide over the waves you’ll get to see schools of fishes, turtles and stingrays, and even a creaking shipwreck. If you’re tired of the beach, then exploring through Viana Desert should be a must do on your list. Deserto de Viana, as it’s popularly called covers about 30 per cent of Boa Vista and is almost entirely uninhabited. 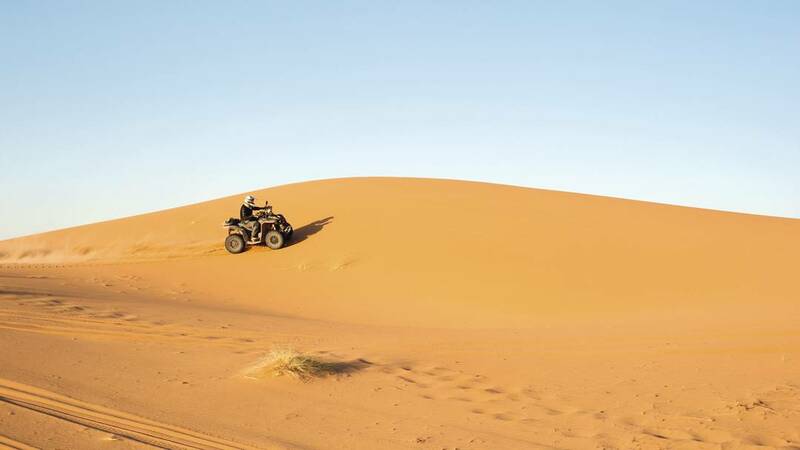 Made up of wind-sculptured dunes and red rocks, it’s a playground for quad biking and 4×4 safaris. For the best bounce going, head south – the dunes here reach heights of 50 metres. 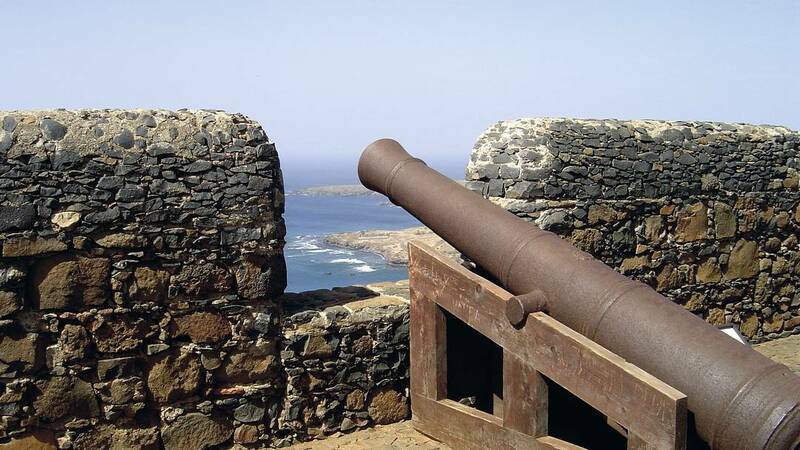 Cape Verde’s biggest island can count Captain Cook and Sir Francis Drake among its visitors. Nowadays, though, it’s mainly day-trippers heading for the old capital, Cidade Velha. Along with its volcanic beach, you can head for its atmospheric market, National Maritime Museum and church that dates back to 1495. If you love the beaches, but mountains even better, then this is the destination to head to! The name of this sun-shaped island means ‘fire’ in Portuguese, which gives you a good indication of its volcanic status. 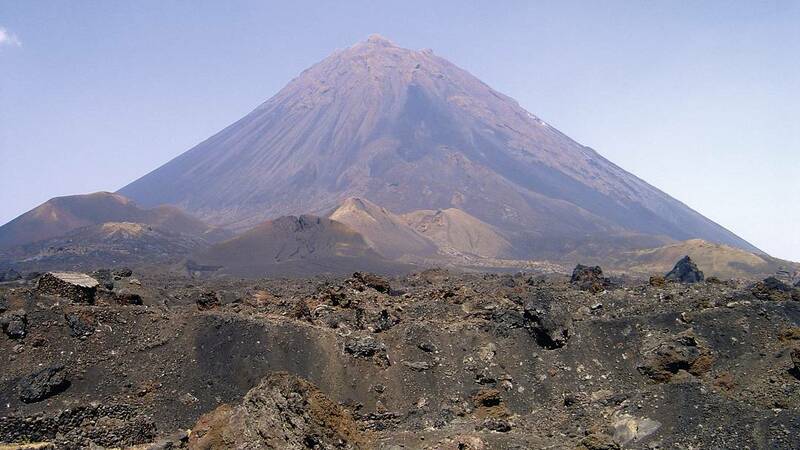 Its crowning glory is the 160-metre cone of Pico de Fogo, which last burst into life in 1995. Head to the coast to get the best view of it. And while you’re on the island, stop off at the colonial town of Sao Filipe for a taste of Fogo’s wine. All in all this place is a must visit if your perfect idea for a vacation is much more than regular lazying across the beaches, shopping, or just tasting the local cuisine. Wonderfully diverse, with a bunch of amazing places, this place is a retreat for all travelers who enjoy fascinating places, experiences and destinations across the world! 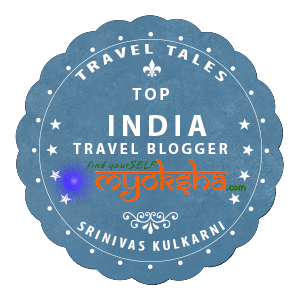 This entry was posted in Tales Across the World and tagged Boa Vista, Cape Verde, Castaway Islands, FirstChoice, Firstchoice.co.uk, Islands on October 18, 2014 by srinistuff. Great article and amazing photos. Loved your article.